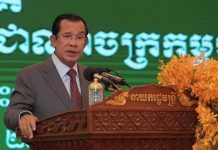 WHY CAMBODIA SUPREME COURT DECIDED TO DISSOLVE THE CAMBODIA NATIONAL RESCUE PARTY? 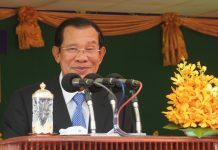 After committing a number of offences aimed at seizing the power illegally, by using a political slogan of “Positive Change”, which is not deemed a real democratic competition for power, the CNRP President (Cambodia National Rescue Party) has continued to deliberately abuse the Constitution which is the supreme law of the nation and, therefore, was accused of conspiracy with a foreign power. 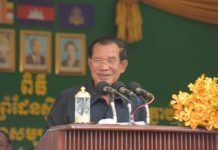 Consequently, the CNRP was dissolved by the Supreme Court on 16 November, 2017 under the provisions of the applicable laws.